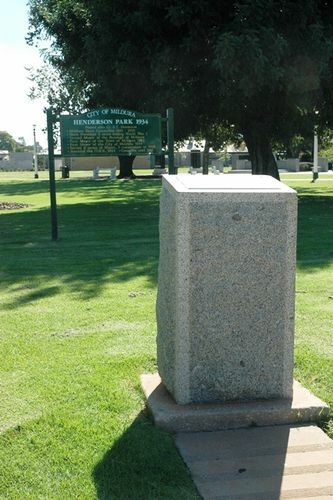 A memorial commemorates the pioneers of Mildura and District and was unveiled during the golden jubilee celebrations of 1937. Henderson Park this week. The stone will be unveiled by Mr. J. H. Bennett, district inspector of schools, on August 13. The Argus (Melbourne), 27 July 1937.